Black kitchen is a practical solution for a modern home. It’s stylish beyond words and it can handle lots of traffic and cooking. If you aren’t afraid of darker color schemes a black kitchen is not a mere practical solution though; it’s an entire style statement. 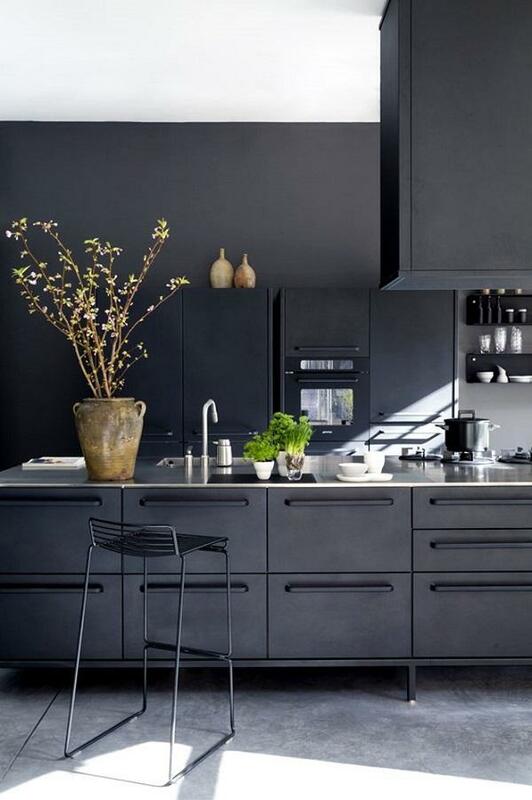 Black is a strong color and is rarely used alone so many kitchens may feature black cabinets and kitchen islands but the walls, floors, and ceilings are usually made white for contrast. While this is an absolutely classic way to go about it we propose something more daring. Look how to rock this color stylishly and combine it various accents below.